We’re getting more used to paying by mobile but we’ve not hit mass acceptance just yet. 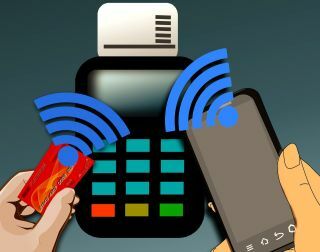 That’s according to a new survey from eMarketer which found that just 22% of British smartphone users will use the device to pay for goods. Although that sounds like an impressive amount for a relatively new technology, it’s dwarfed by countries such as China where 77% of smartphone users are happy to pay by phone. Even in Europe, there are users who are more content to use the technology: 39% of Danish smartphone customers and 34% of Swedish one will turn to their phones at point of sale. According to eMarketer, one of the reasons for the lack of interest in the UK is that contactless cards are more popular here. They’ve been in use since 2007 and their ubiquity has hindered the usefulness of mobile payments.